Saltwater fly fishing can be an extremely intense, and also extremely rewarding at the same time. As most of us know, saltwater fish in differ in many ways from freshwater fish. Generally they’re bigger, stronger and meaner. They have to be in order to survive in the environment they find themselves in. 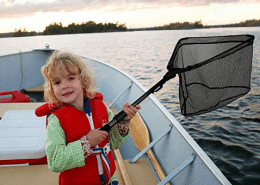 While fly fishing for these fish you need to be prepared for any situation. While saltwater fishing you may be targeting a certain species of fish but you truly never know what might decide that your fly looks appetizing. One of the first things you need to make sure of while saltwater fly fishing is whether or not the saltwater reel and saltwater fly rod you’re using can withstand the abuse of not only the fish, but also the elements. Saltwater is a very corrosive material so you need to ensure that your saltwater flyfishing reels can withstand this type of abuse. If you’re on the market for a saltwater fly fishing reel or just looking for cheap saltwater fly reels, here’s our list of the 5 best saltwater fly reels for the money in 2019. The Piscifun Crest Saltwater Reel is lightweight, durable, and easy to maintain. 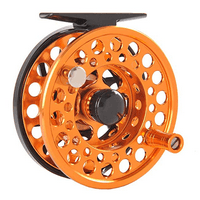 Built from ultra-strong, CNC-machined anodized 6061-T6 aluminum alloy, the spool is rigid, strong, and more corrosion-resistant than other reels made from standard aluminum. The polishing and machine work are flawless. The reel is heavily ventilated, allowing it to shed water quickly without losing strength. It features a fully-sealed, carbon-to-stainless drag that’s resistant to water, sand, dirt, and other debris that can enter your reel and slow you down while you fish. Cleaning the reel is simple and its maintenance only requires a quick rinse with water. Its large, U-shaped arbor design limits line memory and provides rapid line pickup when paired with a large, flared cranking handle. This will give you a competitive edge as you fish. Additionally, the Crest features silent retrieve and a click drag design, allowing you to consistently make accurate adjustments as necessary. This reel is also versatile, giving you the option to fish in both fresh and saltwater. A free spool disassembly line makes it easy to disengage the spool from the reel body, so you can effortlessly switch spools and change the hand retrieve. The Crest also comes with a damage-proof knurled handle that’s easy to grip. 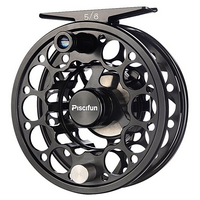 Piscifun offers a lifetime warranty for all of its Crest fly fishing reels without human damage. 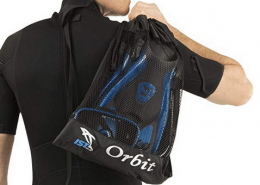 Fiblink is one of the best outdoor gear manufacturers with a strong track record of quality, high-performance products. 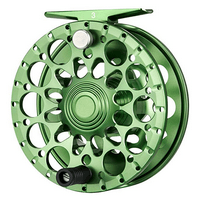 Their well-designed fly fishing reel is one of the premier saltwater options on the market today. Sporting a cold-forged, CNC-machined aluminum construction, it’s designed to handle any fishing challenge you throw at it. This material is sturdy, low maintenance, and corrosion-resistant, needing only a brief cleaning time after hours of fishing. Its drag stack is completely sealed, so you’ll never have to worry about sand and dirt infiltration. It’s also designed for less line stacking, giving you higher line retrieval rates. This reel is lightweight, and its high strength-to-weight ratio doesn’t compromise effectiveness. An advanced fiber-composite drag system will give you the necessary control to stretch your system to the limit and land big fish. In addition to its strength, this reel is versatile. Its one-bearing system provides for an uncomplicated left-to-right hand retrieval switch. It can also be used successfully in a wide variety of fishing environments, including freshwater, and features a 2+1 ball bearing and a 1:1 gear ratio. The 5/6WF model has a backing capacity of 105 yards/20 pounds, weighs 5.1 ounces, and has a diameter of 3.15 inches. The 7/8WF model has a backing capacity of 120 yards/20 pounds, weighs 5.9 ounces, and has a diameter of 3.54 inches. The Bodhi V-Sea Saltwater Fly Reel will give you power and stability without the over sized bulkiness that often comes with saltwater reels. Made from CNC machine-cut, 6061-T6 aluminum billet stock, it features a unique V-design that prevents water from becoming trapped inside and causing inadvertent drag. 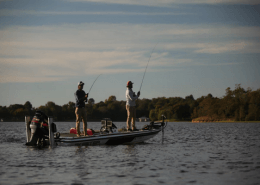 Keeping the reel dry also allows for better precision when casting, which can make the difference between landing a big fish and going home empty-handed. On top of this, the Bodhi is built to last. As experienced anglers know, salt water causes quick corrosion and is harsh on gear. 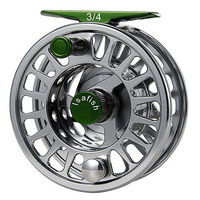 This reel’s hardy design is corrosion-resistant, ensuring its longevity after repeated exposure to salt water making it one of the best bonefish fly reels. It has precision needle bearings on a chrome alloy spindle, giving you dependably smooth handling. The Bodhi’s completely sealed drag system is also first-class, blocking out elements like water, sand, and dirt. Whether you’re fishing the flats for tarpon or sight fishing for bone fish, this reel is reliable and well-equipped to get the job done. 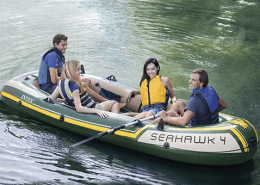 It provides ample line capacity, has a swift retrieve, and includes a machine-cut reel seat that’s strong enough to haul in even the toughest catch. This material is stronger than traditional die cast aluminum, so you’ll never have to be concerned about its ability to stand up to big fish. The reel comes with the 100% Bodhi Satisfaction Guarantee. We hope you enjoy our salt water fly reels reviews. Built from high-grade, CNC-machined aluminum alloy, the Isafish Fly Fishing Reel is lightweight and durable and is a great addition to any fly fishing rod. It can be effectively used in salt and freshwater environments, making it a great choice for versatile anglers who want to fish the flats one weekend and a river the next. Its sealed carbon and stainless-steel construction is both waterproof and corrosion-resistant, requiring only a quick rinse for low-hassle maintenance after use. It also features an adjustable click drag system that delivers outstanding performance. A 2+1 ball bearing system allows for strong and smooth drag that’s capable of withstanding pressure applied by sizeable fish. A one-way clutch bearing also makes it easy to swap the right and left-hand retrieve, providing the option to adjust as needed. The Isafish also contains a mid-arbor design, giving you the exact balance between line pickup and backing capacity. It comes in three different sizes. The 3/4WT weighs 4 ounces and has a backing capacity of 50 yards/20 pounds. The 5/6WT weighs 4.7 ounces and features a backing capacity of 100 yards/20 pounds. Finally, the heaviest option, the 7/8WT, weighs 5.2 ounces and has a backing capacity of 125 yards/20 pounds. 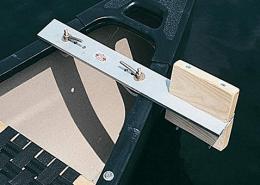 The Isafish’s versatility makes it an excellent option when targeting an assortment of fish, including light trout, normal trout, bass, salmon, and sea trout, to name a few. The reel comes with a five-year warranty. Solid construction, smooth drag, and efficient design make the Piscifun Sword Fly Fishing Reel essential to consider for anglers looking for a top-of-the-line saltwater reel. 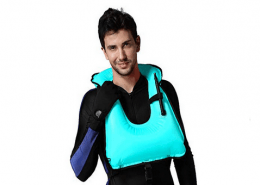 It features an innovative, hollow design that’s lightweight and doesn’t compromise strength. It’s created from precision, CNC-machined 6061-T6 aluminum alloy that is 3-times stronger than similar diecast reels and provides high-impact durability. This material is cold-forged and tempered for top-quality strength and rigidity. 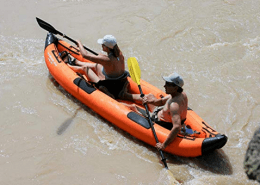 The Piscifun Sword also has a hard anodized surface that increases abrasion resistance by up to 30 percent. 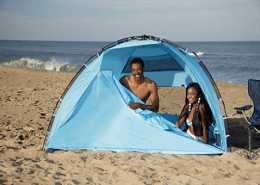 And it’s corrosion resistant, allowing you to confidently fish in salt water during all types of weather. On top of its durability, this reel also features smooth drag that’s easy to adjust and won’t let you down. A one-way clutch bearing complements a multi-disc cork and stainless-steel drag system, so you’ll consistently experience smooth and immediate drag engagement. The click drag is accurate and the retrieve is silent. A mid-arbor design allows for quick line pickup and reduces line memory, putting you in a position to succeed. Furthermore, this reel includes an easy-grip knurled handle. When you’re battling a big fish, you need to be confident in your grip. This smooth-rotating, double-screwed handle is damage-proof and contains slight grooving, giving you a grip you can trust. The reel comes standard with a three-year warranty.